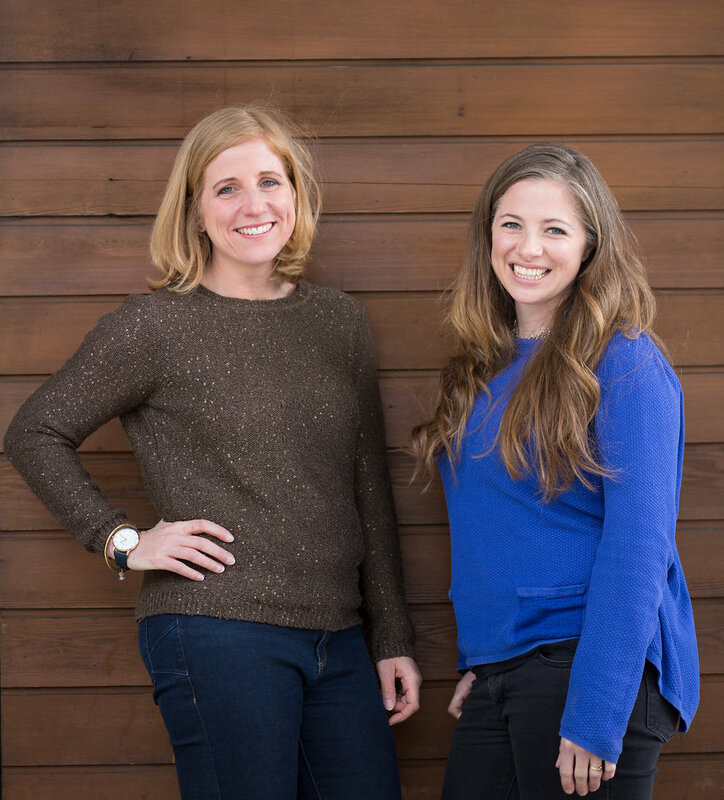 Cat Ainsworth and Annie Legge have confronted their own self-doubts and lack of confidence to create their co-operative start-up. Two years in, they reflect on how they’ve built the resilience and strength they needed to become successful social entrepreneurs. We are two women with a shared passion for positive social change. We have seen, through different lenses, both the positive and negative impact technology can have on people and organisations. Over the past two years we have experienced the sheer amount of energy and dedication it takes to set up a social enterprise. When we started out, we weren’t even sure if our idea would work. In the early days, this led to times of doubt, and when doubt creeps in, your inner voice starts to surface your fears and leads to a lack of confidence. We had to constantly remind ourselves we could succeed. This took bravery, a bravery we didn’t have to begin with, a bravery we have gained through trying (and sometimes failing) and focusing on building our own resilience and strength. This is where our story begins. Annie and I met in 2015, at a conference showcasing technology innovations designed to tackle humanitarian issues. While the innovations were impressive, we saw a lot of duplication: similar bespoke solutions being created to solve the same core problem in different sectors. There was a strong sense of two worlds at odds with each other: technology providers with deep technical expertise and shiny products, alongside non-profit organisations balancing stretched resources, high staff turnover and a need to revolutionise the way they work. Most non-profits seemed overwhelmed – faced with a world full of choice where many different technologies are addressing the same problem, where should they start? We couldn’t find an answer, so we became it. We founded Dot Project, a social enterprise championing an empathy-led approach to technology. Working with non-profit organisations, social enterprises and small businesses, we sought to demonstrate how responsible technology can truly enable productivity in work, ensuring that organisations can thrive. We had an idea, a one-page business canvas, a logo and a cobbled-together website, all built on goodwill and skills sharing. With that, by November 2016, Dot Project was born. We launched with no fanfare, quietly pulling together a website and practising and rewriting our ‘elevator pitch’. We had no budget, so our marketing started as a trickle of Tweets and attending as many relevant events as we could. To start with, attending networking events felt intimidating – when you start a business based on your own passions every criticism feels like a physical blow. All the books tell you to dust yourself off and exude confidence to engage people in your idea. In reality, when you are working long days and wondering where your next piece of work will come from, every knockback dents your confidence and that takes time to rebuild. Our first year felt like a rollercoaster: exhilarating highs and disheartening lows. We wanted to be fearless, follow our vision and seize the moment, but this would take courage. We had identified what we felt was a gap and need in the market, but it needed validation. For the past two years, we’ve been testing our pioneering empathy-led approach with clients and connecting and engaging with communities that matter to us. This has taken a whole lot of courage, but given us a whole lot of confidence. Without investment or seed funding, we’ve had the freedom to create our own future inspired by hope, radical change and the desire to improve the state of humanity. At times, this freedom has brought crippling self-doubt, but we thrived on the endless possibilities and the never-ending task of managing our blossoming ideas. What we were doing was new and there was no map to follow. We knew that we needed to balance our beliefs with the reality of the market need. Simply put, would people buy what we had to offer? We faced a number of challenges at first. When putting our theories to the test, we found it difficult to articulate how our product and service offering aligned with our purpose of driving positive social change. The terms ‘digital’ and ‘technology’ particularly confused people, with ‘tech for good’ triggering many a circular conversation. This troubled us, because our experience had taught us that people need to be the core focus when it comes to making decisions about technology. We needed to find a way to talk about the transformational impact technology can have on organisations, their people, social development and, in the broadest sense, humanity. Bit by bit, through trial and error, we have learned how to do that. We are now better able to explain how Dot Project supports organisations to increase their potential, enabling technology to change the world for the better. This has helped us to find our place and our purpose, and built a platform for growth and confidence. Over the past two years we have worked with organisations committed to improving people's lives, and this inspires us. We worked with OpenUp Music, which enables young people with disabilities to play musical instruments and which has created the world's first inclusive orchestra, to strengthen its internal systems and create strong digital governance. We enabled cxpartners to develop a strong and responsible approach to data protection, particularly to protect vulnerable people involved in their user research. We work with the Tech Talent Charter to build momentum on diversity in tech across the UK. And over the past two years, we have trained over 130 organisations to prepare them for GDPR legislation. Engaging with and contributing to the wider tech for good community is vital to us. Because we believe that digital technology has the power to enhance our lives, we purposefully create communities that can harness its potential, addressing society’s challenges today and in the future. In May 2017 we launched Tech for Good Bath, a community-led meetup bringing together people who are passionate about the positive impact technology can have on society. This has since inspired the launch of Tech for Good Lisbon and Tech for Good New Zealand. This meant that we had reach. In January 2018, we chose to become a co-operative. For us, being a co-op is about recognising there’s a different way to do business and being true to the values of collaboration, cooperation and concern for the community. It was a bold move for us, challenging the status quo and representing an alternative to a corporate model. While the term itself is often linked to political activist movements, for us it’s about a way of working, a deep understanding of how to work openly and transparently and champion democratic decision-making. It’s these values which speak to our clients and the communities we support: we are open and honest in all that we do. By becoming a co-operative, we are acknowledging that we will not allow traditional perceptions to stand in our way. After becoming a co-operative, we joined CoTech, a network of technology co-operatives working together to create a more equal and sustainable approach to technology development. Our path to entrepreneurship is also very much a personal journey. Both Annie and I have both been through challenging experiences professionally, leading to burnout and professional emptiness. In numerous situations, one of us has felt more confident, and the other apprehensive. To create a business, you ‘get out there and network’ which used to be my worst nightmare. I had low self-esteem and lacked the confidence to approach people cold and introduce myself. It's important to confront what holds you back from achieving your full potential, and early on I worked with a personal coach to break down the perceived barriers I was encountering and the inner voice saying, ‘people will question why I am there’, ‘people will think I’m too young to have an opinion’ or ‘I’ll definitely say something stupid’. Coaching was transformational for me. I went from trying to enter a room without people noticing me, to understanding how to prepare for networking events, engaging with contacts in advance to build warm connections before I even entered the room. I have learnt a great deal from Annie, who has a natural ability to connect and build relationships, showing me how important it is to stay true to your personality and actively listen to the conversations you are having, rather than letting your inner voice take over. For me, speaking to an audience has always felt natural. I like to tell a story and share my imagination with others to spark conversation and debate. Annie will openly admit this has never been her natural place, but she too has recognised the power of confronting what prevents us from fulfillment and the reward of expanding your comfort zone to achieve what you never thought possible. In the early days, I would take the stage to represent Dot Project but gradually Annie too has quietened the inner voice, and found her way to share our story to an audience. Facing your demons, finding new unexplored territory to build confidence in one skill area feeds other skill areas. Through our personal growth, being bold and brave and always staying true to our natural selves, people have started to notice and connect with us, and, in turn, work with us. We have created the space for each other to grow in confidence, and in turn seen our business grow and flourish. By mid-2018, we had made a lot of progress and become much clearer about where we wanted to take our social enterprise. It was time, we felt, for a new brand identity that would clearly communicate the positive difference Dot Project makes to our clients and to the world. Dot Project connects the dots and ensures the voices of people are central to technology decisions. We passionately believe we can empower humanity, which begins with how we approach technology as individuals. When we can shine as a result of well-placed technology, our individual potential is limitless. We are supporting organisations to take a responsible and ethical approach to technology, increasing productivity while also prioritising workplace skills and wellbeing. Our new look represents our journey. Dot Project is working towards a future where people flourish through responsible technology. We are bold and we create change, and we adore what we do. Those choosing to work with us are choosing a thoughtful approach which seeks to deeply understand organisational goals and enable the organisation to fulfil its potential. We will continue to focus on building co-operative and engaged communities who have the potential to positively shape civil society – because in the future, collaboration is essential. Read more about Dot Project here. In a new column, Helen Trevaskis stumbles from the world of corporate consultancy into a social entrepreneur’s life and gets to grips with a whirlwind of new ideas. "Leaders should go when they are part of the problem that stops change happening"
Andy Parfitt turned the BBC's youth radio station into a huge hit when everyone thought it would flop. So how did he do it?